There’s bling, and then there’s dark bling. And, if you don’t know the difference, all you need to do is meet Harley Woolven, the artisan and mastermind behind Black De Ville, or BLK DV for those in the know. While the concept of bling has been around for decades, the new wave of dark bling, especially for men, is hitting the world of street fashion like a tsunami. A little bit of sparkle and a whole lot of statement, dark bling is more of a mindset than it is an accessory. 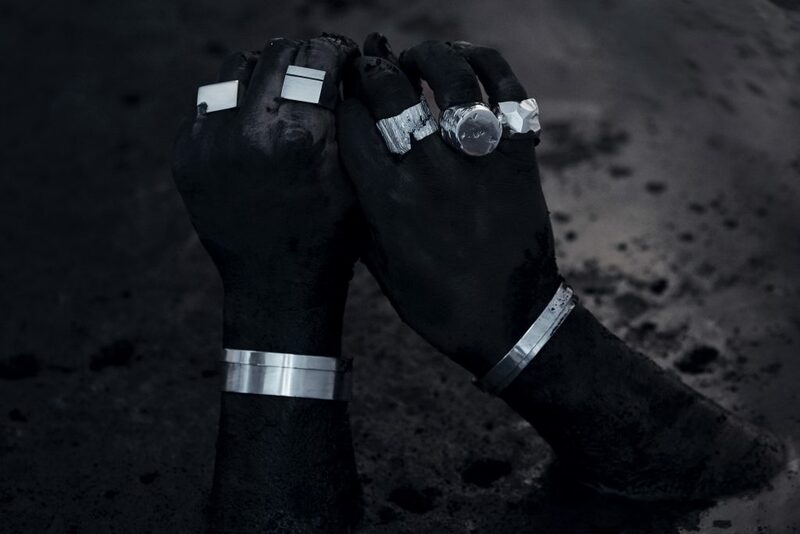 One of the trailblazers in luxury bling for men, Harley Woolven underscores each of his BLK DV pieces with a type of minimalism that can be likened to survivalism; it’s rugged, brutal and captivating all at once. 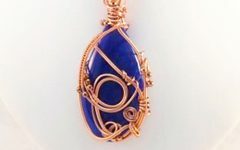 The creation of each piece of jewellery is done by hand and takes approximately ten days in total from start to finish, which creates an intense intimacy that appears both visibly and tangibly in each of his works. In the world of accessories, Harley is known for being “unconventional” and “deconstructive”, which, in today’s world, is about one of the biggest compliments you can get. Far from the contemporary ideas of modernism, BLK DV is an organic celebration of the natural world – think rocks and cliffs instead of flowers and fields. Because the craftsmanship is so refined and the designs so confident, it might be surprising to learn that Harley is still three years shy of thirty. Originally from Sydney, Australia, the designer, who is “almost always working in darkness”, has had an unconventional love affair with jewellery since he was a teenager. 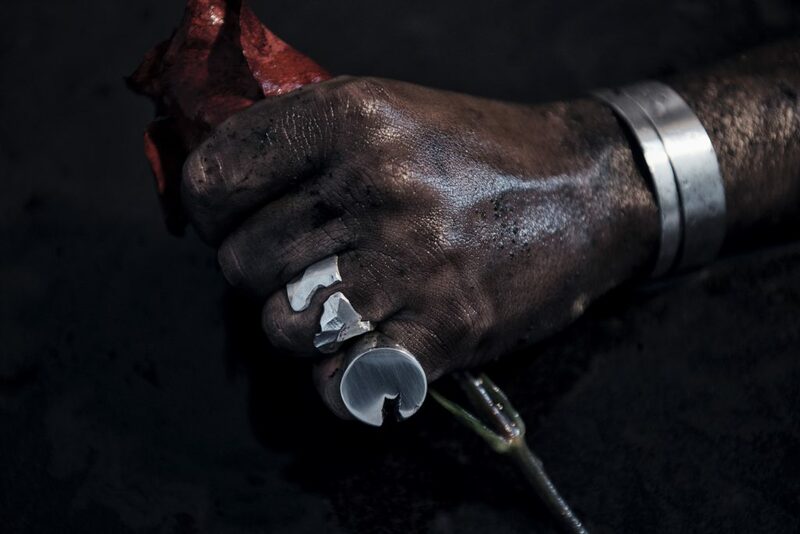 Knowing that his hands were meant to create enduring objects, BLK DV is the evolution of Harley’s obsessions. The fact that the objects he makes could be worn forever isn’t intimidating, but rather thrilling for the young designer. And that’s just proof that Harley is doing precisely what he’s meant to do. One of the most popular styles, the Diagonal Ligne Signet Ring is a signature look for Harley, with its classic round shape, cut confidently down the middle, seemingly by a force of nature. Perfect for those who have a more minimalist taste with an edge. Another take on the signet style, the hand-polished Exposed World Signet Ring embraces the wild call of nature with a deep, rugged cut on one side – the kind you would see in a raw edge of wood or a lone century-old tree in the middle of a forest clearing. Another firm favourite, the Exposed Cuff Band Ring takes a similar approach to design, except rather than a precise cut, this ring features more of a seismic quake through the middle of a traditional, albeit thick, band, and a smooth polished finish attained by hand. On the thinner side of things, the BLK DV Harrow Wire Ring is one of the more delicate designs by Harley. 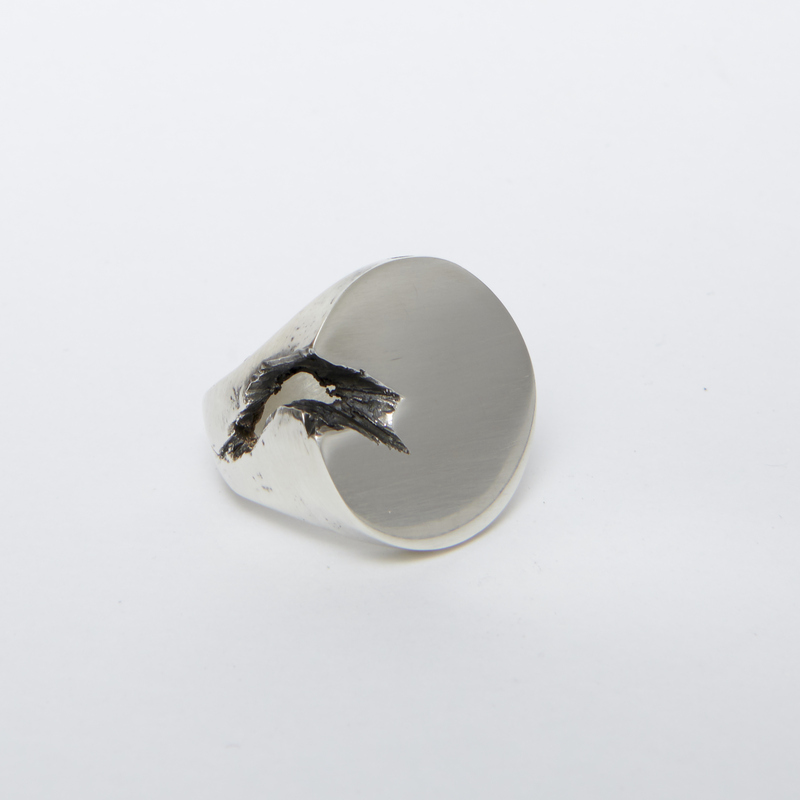 Available in polished silver or raw oxidised black. Its root-like structure, however is anything but delicate. 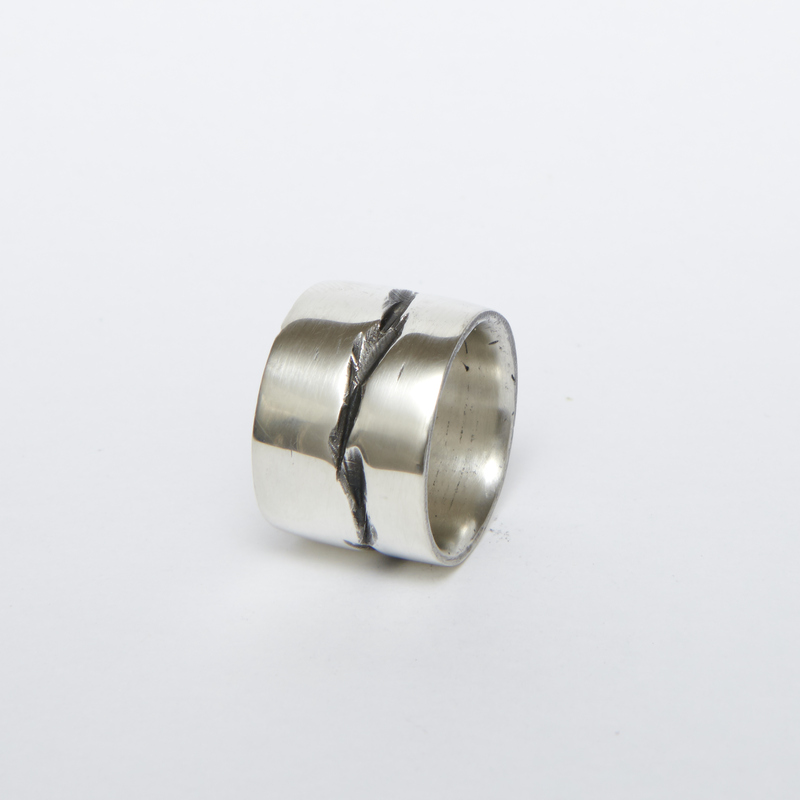 Our top choice for men who don’t do chunky rings. 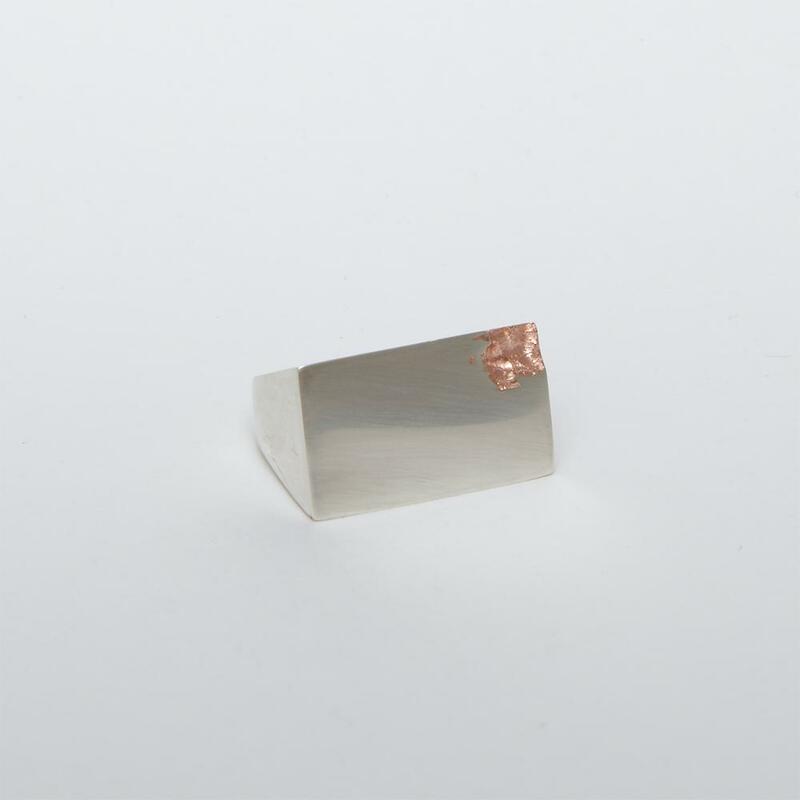 And finally, one of the most remarkable BLK DV designs, the Slate Chip Ring features a fine hand-carved scratch in a surprising rose gold that makes every other men’s ring look dull and generic. 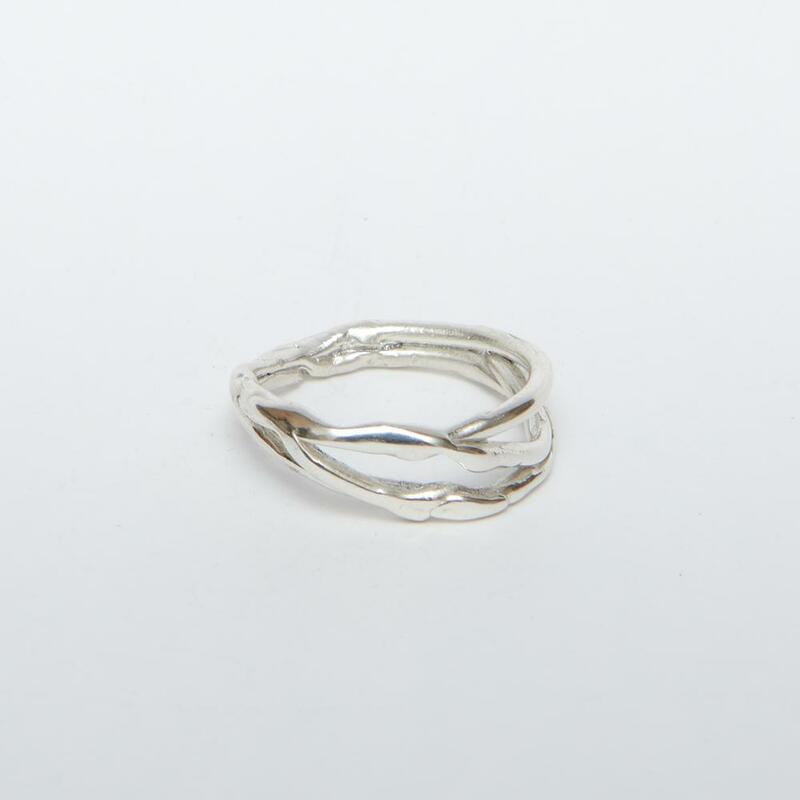 When it comes to uniqueness, few rings can compete with this one. 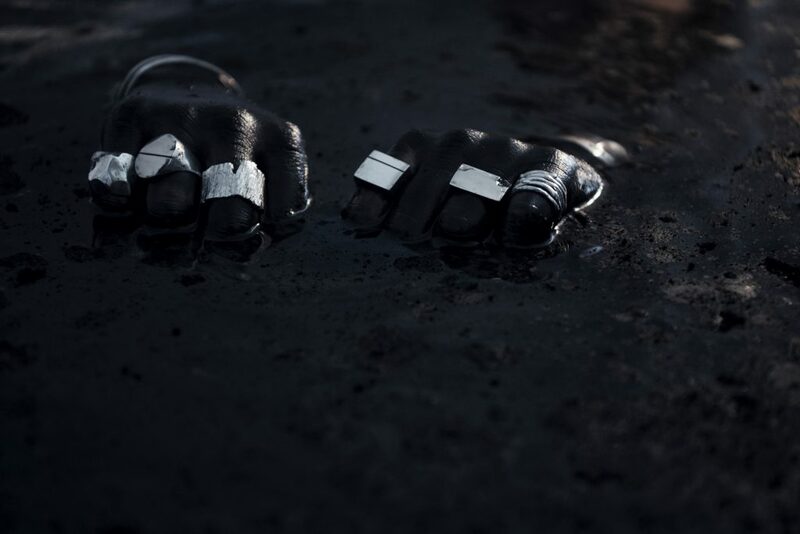 And, all of these stunning “dark bling” rings are only the beginning. One look at the brand’s Instagram page and you’ll see that there are plenty of new rings on the horizon. Of course, that isn’t the sun rising – it’s a dark moon. And, yes, we’re howling already.